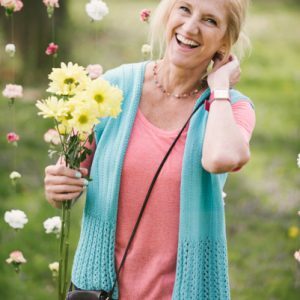 This beautiful tank top has an easy, eyelet-lace edging paired with a classic stockinette stitch body. It’s the perfect grown-up version of baby’s Sunday Best outfit! Dress it up or down depending on the setting. Either way, you’re bound to fall in love with its roomy, round neckline finished with a neat, I-cord edging and attractive lace trim. This is a slightly a-lined top with an eyelet lace border at the hem. The longer back is created with short rows for a uniquely stylish look we know you’re going to love. Pair it with colorful jewelry to make a simple and fun spring outfit. 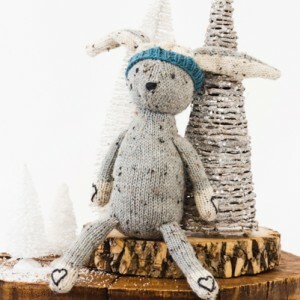 Bunny can be seen gallivanting through the woods with her pal, Fox. Bunnies get cold sometimes, so it’s extra important to knit her a hat. Woodland bunny is so happy it’s finally Easter. After all, it is the holiday with the best candy of any in all the land. And a new holiday means it’s time for new accessories! 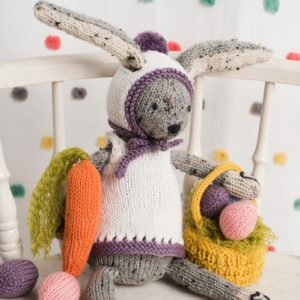 This version of our charming Woodland Bunny (originally published in 2016) features an adorable vest-and-hat set, a carrot, an Easter basket and eggs! You can find the original design here. The dandelion stitch across the chest of this dress really makes it unique. Perfect for Easter Sunday, pair this pink and white dress with a cardigan for cooler Easter mornings. A simple purled edge to the neck and arms give this dress just the right amount of comfort and class. Just like a perfectly sunny summer day, this trendy vest features a casual, effortless appeal. It is worked up in a deep open rib border and a simple cabled pattern. The Mykonos yarn gives Wanderlust Vest the look of suede without the weight of leather. Using conchos and leather lacing as a closure adds to the southwestern look. 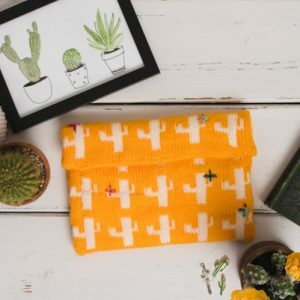 Add a bit of Arizona sunshine to your spring routine with this new clutch design that features stranded colorwork cacti and cute embroidered flowers. 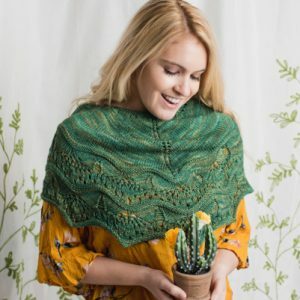 This is the perfect pattern for anyone hoping to practice their stranded colorwork skills. Plus, the double layers of fabric allow for extra stability, so your bag won’t sag or stretch when in use. Cereus, named after the cacti of the same name, has a wavy-like edging similar to the Cereus cacti. After a harsh and cold winter, everyone is pining for some warmth and greenery. This cowl can be draped almost like a caplet or bunched up around the neck. Simple and interesting, the Prickly Pear Socks have a variety of design features that keep the knitter on their “toes.” Worked from the top down, they start with a ribbed cuff, two-color slipped stitch design transitions and so much more!